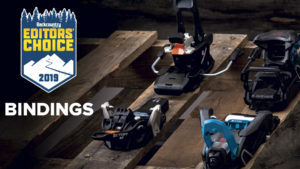 After a week in the trenches wrenching bindings at Backcountry Magazine’s annual Family Camp (also known as their annual Gear Party…err…Test) at Powder Mountain, I can tell you a few things about which AT bindings were liked and which were not. 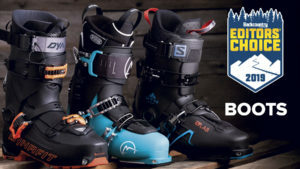 Bindings at the test included Dynafit’s Radical (v2.0 and v1.0), the new Fritschi Vipec 12 Black, G3’s Ion, Marker’s Duke, Baron, F10 and F12, Tyrolia’s Adrenaline (under various manufacturing names) and their Carbon Ambition, Salomon’s Guardian and their new tech binding, the MTN, and Hagan’s ZR, a barebones tech binding for racing. 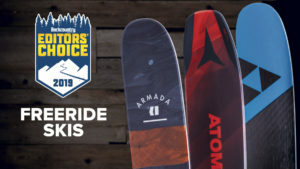 In the tele world, there was the Meidjo, TwentyTwo Designs’ Outlaw, the Rottefella Freedom and the Telemark Tech System (TTS) to be tested, as well as some Axls, Vices, Enzos and Freerides for testing skis in tele mode. At the test, the most time consuming binding to adjust for size and release value was the Dynafit Radical (but, ordinarily, this is done just once). By contrast, the G3 Ion was the easiest AT binding to adjust. On the plate side of things, Tyrolia’s Adrenaline was easy, too. From the skier perspective, there were zero complaints about the plate bindings, but no one used them on a tour, either. 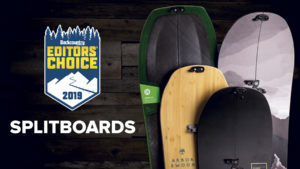 Among tech bindings, the Ion clearly won the award for easy entry. We didn’t rigidly keep track, but I estimate testers got into the Ion on their first try 90 percent of the time. The Marker Kingpin was runner up. Testers got in on the first try about 80 percent of the time. 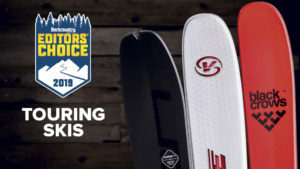 Dynafit’s Radical 1.0 might actually be tied for second (there weren’t many at the test so the data in my memory banks is thin), but not so the Radical 2.0—it was both the most popular binding on test skis and among the hardest to get into. 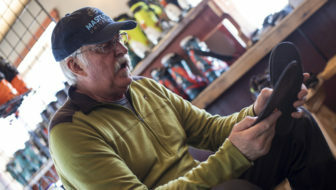 The Radical 2.0’s rotating toe allowed for misalignment, which resulted in skiers taking an average of two to three tries to get into the toe, or about a 25-percent success rate on the first try. And then, we techs found it wise to manually guide the heel into position so the boot lined up properly for locking the heel. Not only was the Radical 2.0 noticeably more difficult to click into than other bindings, it had a corollary problem when trying to get out—the jaws iced shut, refusing to open up and let go. I’m not sure if the propensity for icing was due to the rental plate or the rotating mechanism, but this was a common complaint. The Vipec, though vastly improved (I had zero problems myself), still flustered a few people. Overall, it seemed like half got in on their first try, and those who missed the first try didn’t have their boot flat enough. Like with the Ion, when properly aligned, the pins closed with speed. There were also two pairs of minimalist tech bindings—the Hagan ZR and the slightly more robust Salomon MTN, which has a nice alignment bar on the toe. While the Hagan was Spartan on features, the few who tried it had no complaints, even commenting on how easy it was to get into despite no alignment features. Zero complaints about both in the turns department, which surprised users since the lack of mass did not necessarily inspire confidence. 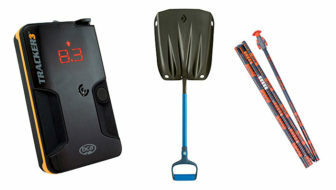 The absolute hardest tech toe to get into was on Olympus Mountain Gear’s Telemark Tech System. Part of this was due to inexperience with tech toes—two NTN newbies (longtime duckbilled telemarkers) with no prior “dynafiddle” experience simply could NOT get in without a tech guiding and holding their boot in place. These same testers had some trouble their first go around with the Meidjo, but soon overcame any complications. Why does this minutia on ease of entry matter? 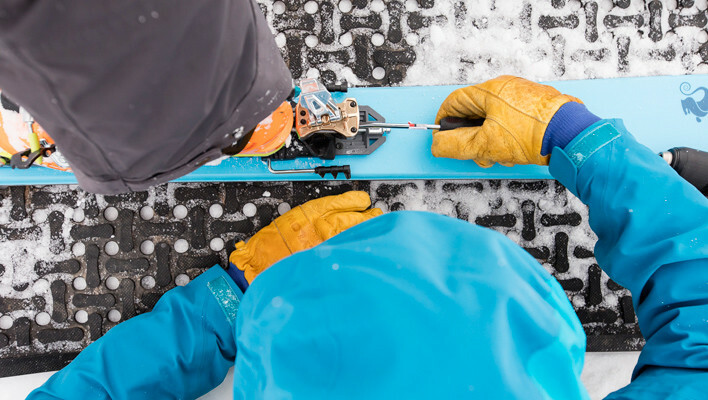 Easy entry is key to a skier’s confidence in a binding’s performance, especially the first time. I’ve seen these same skiers go from skeptical use of tech bindings to nonchalant acceptance—except when they are hard to get into. The reason for that is simple; when you’re out there, trying to get into a binding in blinding wind, perched beneath a cornice at the headwall of a 50-degree couloir, you do not want a binding that’s hard to get into. Or in two feet of fluff when your binding is buried. Or ever, for that matter. In the long run, ease of entry is a factor whose importance fades with familiarity. Ask any experienced Dynafit user and they’ll tell you they’re all easy when you figure ’em out; some do it “regular,” some do it “switch.” That’s when the other features of the binding play a greater part—how they release, how they switch modes, if they ice up or pre-release. 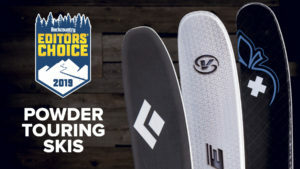 The more the binding proves to be a reliable partner in your adventures, the more other components will guide your decision on what binding adorns your next pair of skis. 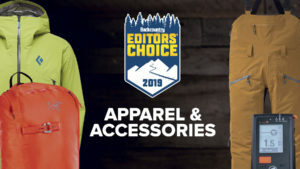 For the full story on that, be sure to subscribe so you get Backcountry Magazine’s comprehensive Gear Guide in August. In the meantime, consider this a sneak peek at what’s to come. 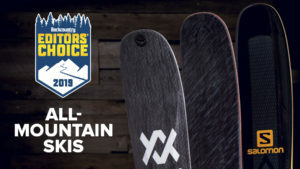 Why would skiers with “no prior experience” with tech bindings be in charge of testing the gear? We have a handful of dedicated Marker Duke/other-frame-AT-binding users in our test crew (plus one or two telemark skiers who opted to lock their heels), and they often found themselves clicking into tech bindings to test the many skis that were only mounted with tech binders.